Let us praise Gods glory Ephesians 1:12This combined volume brings together over 700 of the most popularpraise and worship songs and hymns of the church. Each song hasbeen simply arranged for four-part harmony with easy-to-play keyboardaccompaniment, and includes guitar chords. Songs include And Can ItBe, As the Deer, Majesty and many more. 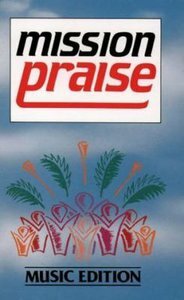 About "Mission Praise Combined Music"
Offers a range of songs and hymns. In every case, the first line has been included between the lines and guitar chords are provided. This one-volume edition is intended for choirs.